Accidents involving commercial vehicles are often huge emotional, financial and physical undertakings. These massive trucks can wreak havoc on smaller cars or motorcycles in a collision. 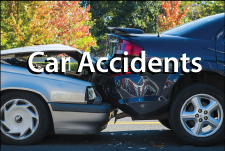 The injuries, often catastrophic, leave a lasting impact on the accident victim. In many unfortunate cases, these wrecks can be fatal. A thorough, experienced attorney can ensure that you are receiving the compensation you need to cover the costs associated with the accident.At Chambers & Noronha, our attorneys have decades of combined experience aggressively litigating personal injury cases involving commercial vehicles. Each of our partners has tried more than 30 cases, and we are all members of the American Board of Trial Advocates – an accolade that no other firm in Orange County can claim. We understand the devastation of these accidents and the complex process that follows. Our lawyers prepare each case for trial, and we are committed to obtain the best results possible for our clients.Commercial vehicle accidents require an advanced layer of legal knowledge. You will face questions not only from your insurance company and the truck driver’s insurance company, but also the driver’s employer’s insurance company. After an accident, your first priority should be to get well, not manage these complex logistics. We take control of our clients’ cases and carefully investigate the circumstances of the accidents. We call on the expertise of economists, medical professionals and accident reconstructionists as we build strong cases for our clients.